Give and take between the Union government and the people of the Valley is the only formula that can work. Debate in Parliament, discussion on prime time news channels, protests in streets and blood on the hands of police and security forces is what defines Kashmir today. Religion-based politics polluting young minds, failure of the system to reach out to the people and alienation - a narrative built up over decades - is how people look at Kashmir. Amid all this, let us accept the fact. Kashmir is burning. Very little is being done on the ground to douse the flames. Rather, narratives being built up afresh are actually fanning the flames. The only perception which is scarcely challenged is that the system has failed the people of Kashmir. It is because the system has failed them that people have resorted to violence. In turn, it is because of this violence that Kashmir has been further militarised. A result of such militarisation is that the children of the conflict grow too fast. They become militants. Or at the least, embrace militancy in their minds. Let us also accept the fact that politics in the Indian subcontinent is shaped to a large extent by religion. How can politics be freed from religion, when politicians themselves have given primacy to religion than the Constitution? 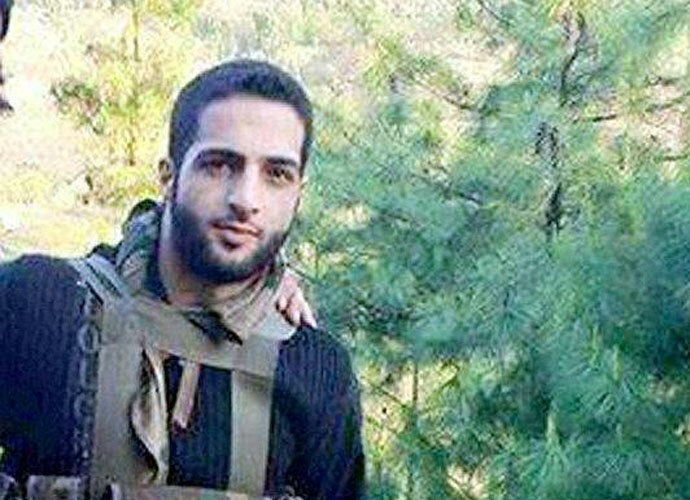 Trouble started in the Valley after Hizbul Mujahideen commander Burhan Wani was killed. Kashmiri society and Kashmiri politics is as Islamised as the Indian system, or Indian politics. If religious radicalisation globally is an indicator, radicalisation of the Kashmiri Muslims would have been there as it is today, even if the Kashmir issue did not exist. Radicalisation and the interference of religion in political affairs is phenomenal. It is in this context that some liberals argue that if you want to be secular, you have to be agnostic. Let us also accept the fact that we are living in highly disruptive times, as the failure of the system and the resultant violence in Kashmir show. When you fail in delivering on your promises, you either have to "die" as Mufti Mohammad Sayeed died, or "kill" as the State is now killing. The failure of the system and the miscarriage of justice in Kashmir first created space for identity politics. It has been at the centre of violence in many parts of the world at times. But it has not bred extremism at most places. What some people call "romanticising terrorism" in Kashmir is in reference to the ongoing violence in the aftermath of Hizbul Mujahideen commander Burhan Wani's killing. This actually reflects the deepest frustrations and anger of Kashmiri Muslims. Let us accept the fact that Kashmir cannot be handled only through military measures. You have to take a call on how to defuse the situation politically. Here again, you have to break apart from the stated narratives, and take a slew of measures if you really want to make the trouble-mongers irrelevant in Kashmir. Rhetorical narratives laden with ego and anger are a disaster. The Kashmiris need to confront the present-day realities for a safe and secure future. New Delhi, on the other hand, is not open to new ideas to end the deadlock in Kashmir. Give and take is the only formula that can work. Let us address the first narrative, dehumanisation. This is used by both New Delhi and Srinagar as argument and counter-argument against each other. Dehumanisation is the ultimate result of militarisation and radicalisation. If you want to restore normalcy in a society, de-militarise and de-radicalise it. Both New Delhi and Srinagar must soften their stances. They must also identify the faults in themselves through introspection. The Kashmiri society cannot afford a continued conflict, and the radicalisation of young minds there. One has to realise that the society which remains in permanent conflict with the State reaches a point of no return. An emotionally-charged society, driven by sentimental politics (legitimate or illegitimate), has to face severe consequences. This is the harsh and bitter truth. Kashmir, as a society, has to develop a collective thinking and move forward in reconciliation with ground realities. For this, we have to end the politics of hatred and violence. This will help in de-radicalising our youth. At the same time, New Delhi must end the stalemate and de-militarise Kashmir. This will gradually help to de-escalate the situation. De-militarisation will significantly reduce the scope for militancy. The Pakistan factor also must be considered, and taken care of by the Centre through its international diplomatic channels.